We’re outdoor enthusiasts, ocean lovers, and passionate stewards of the earth here at Outerknown. The ocean is our playground as much as it is our lifeblood, and it’s in our best interest to protect it! We caught up with Chad Nelsen, CEO of the Surfrider Foundation, to learn more about the imminent threat of expanded offshore drilling in the US and how it will impact ocean health, coastal communities, and future generations. It’s not OK to remain unaware, and every voice is needed right now! What is offshore drilling and why is it such a pressing issue right now? Offshore oil drilling is a dirty and destructive business that will harm our ocean and coastal communities. Last January, the Trump administration announced plans to expand offshore drilling in the Atlantic, Pacific, Gulf of Mexico, and Arctic Ocean. This drastic proposal opens over 90 percent of the Outer Continental Shelf to new drilling and puts our nation’s coastal communities, beaches, surf breaks, and marine ecosystems at risk, regardless of whether or not there is a catastrophic spill. Without a massive mobilization by coastal communities around the country in opposition to new offshore drilling, our voice will be drowned out by the lobbying power of Big Oil in Washington, D.C.
What are some of the top environmental risks of expanding offshore drilling in the US? There are serious environmental impacts associated with each stage of offshore drilling. While some impacts may not be as visible, there are a myriad of consequences that local communities and elected officials must know about before considering new oil drilling. Before drilling begins, seismic surveys are used by industry to locate and estimate the size of offshore oil and gas deposits. The noise from seismic surveys can damage or kill marine life and disrupt migratory patterns. Then there’s the process of drilling itself, which releases thousands of gallons of polluted water, known as “drilling muds,” containing toxic substances like benzene, zinc, arsenic, radioactive materials, and other contaminants. There’s also the onshore environmental impacts, as oil production requires massive onshore infrastructure for transportation, storage, processing, and delivery. 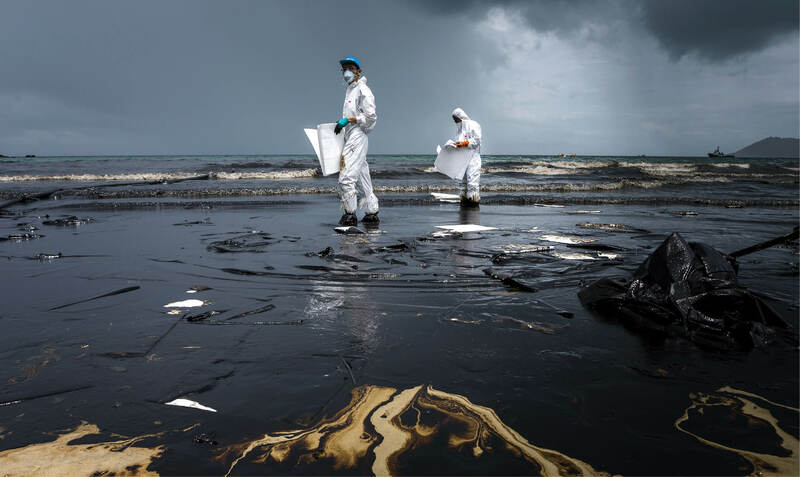 Finally, spills are an inevitable part of offshore drilling. Roughly 880,000 gallons of oil enter our marine environment annually from drilling operations in North America. So even if everything goes according to plan, oil drilling always means oil spilling. When does the new Bureau of Ocean Energy Management plan come out and how do we find out? While the exact date is unknown, the next draft of the plan is expected to be released within the next few weeks. The release of the plan will kick off a 90-day comment period and series of public meetings to collect feedback. Surfrider is closely monitoring the release of the plan and will generate action alerts immediately. You can sign up to be notified of news and alerts on www.surfrider.org and/or follow us on Instagram for updates. What can we expect to see in the new plan? How will it be different from the previous one? The next draft of the plan will indicate which areas out of the original 90% are still under consideration for new oil and gas development. During the public comment period that followed the initial release of the plan, more than 1.3 million Americans submitted comments against the proposal and since then, public opposition has only grown. To date, more than 330 municipalities, 2,000 elected officials, 48,000 businesses, and almost all coastal governors have formally opposed new offshore oil and gas development. We hope these comments and statements of formal opposition are taken into consideration and reflected in the next draft of the plan. Are a few states exempt from the plan? The possibility of Florida being exempt from the plan has sparked a lot of controversy. Last year, former Interior Secretary Zinke announced that drilling would not be approved off Florida’s coast following a meeting with Rick Scott, the state’s Republican governor. The decision was based on the governor’s argument that Florida’s coasts are heavily reliant on tourism as an economic driver and a spill could be disastrous. The statement prompted a flurry of responses from governors of other coastal states, who asked why Florida should be the only state spared when the same argument could be made for all coastal states. Since then, Interior representatives have clarified that Florida waters are still under consideration, and it’s unclear whether or not Florida will be included in the next draft. 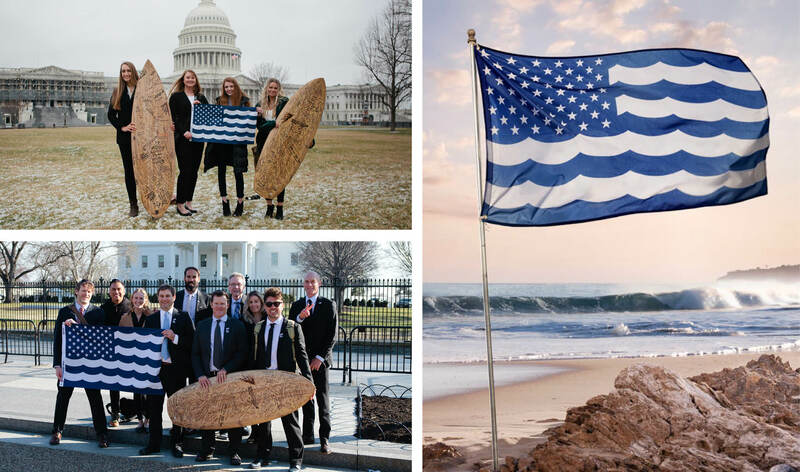 You brought some surf industry reps to Capitol Hill for meetings. How’d that go? 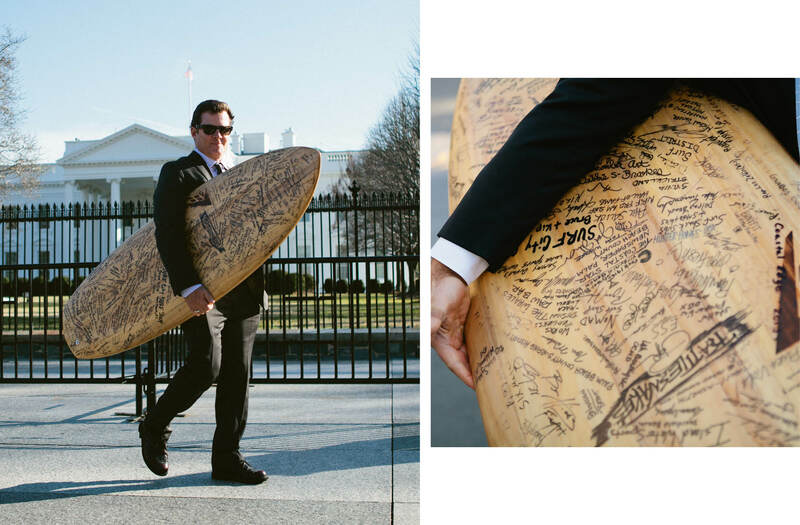 From February 28 to March 1, over 100 Surfrider Foundation members and surf industry partners including representatives from Surf Industry Manufacturer’s Association (SIMA), World Surf League, REEF, and Vissla, traveled to Washington D.C. for our annual Coastal Recreation Hill Day, to meet with federal leaders about ways to protect our ocean, waves, and beaches. We met with over 125 House and Senate offices as well as the Department of Interior, the Bureau of Ocean Energy Management (BOEM) and White House officials to ask the Trump administration to cancel plans for new offshore drilling. During the meetings, members of SIMA and I presented officials with a surfboard and letter signed by over a thousand coastal businesses opposed to new offshore oil and gas development. How is seismic airgun blasting related? Seismic blasting is a damaging practice to locate and estimate the size of oil and gas deposits before the drilling process begins. It involves deafening underwater noise that harms and kills wildlife such as whales, dolphins, fish, and turtles. As of last November, NOAA Fisheries has authorized the Trump administration's plan to allow five companies to concurrently conduct seismic blasting in the Atlantic, marking the first actionable step to accelerating new offshore drilling in the Atlantic. Surfrider is currently involved in a lawsuit to prevent seismic surveys from moving forward. What can I do as an individual or business to say no to offshore drilling? As an individual you can take action by visiting our “Drilling is Killing” campaign page on our website, signing and sharing our action alert, and calling or writing your federal representatives and asking them to oppose new offshore drilling and seismic exploration. One of the best ways to get involved is by joining your local Surfrider Foundation chapter. Across the country, Surfrider chapters are working to grow grassroots opposition to new offshore drilling by raising awareness, passing local resolutions, and other tactics. If you are a business owner, you can join the Business Alliance for Protecting the Pacific Coast (BAPPC) on the West Coast, and the Business Alliance for Protecting the Atlantic Coast (BAPAC) on the East Coast. BAPPC currently includes nearly 3,000 West Coast businesses and 42,000 East Coast businesses from industries such as recreation, tourism, fishing, and real estate that are opposed to new offshore drilling off the Pacific and Atlantic coasts. In addition to opposing offshore drilling, what sort of energy should I support? What is a better alternative? The best alternative is to support energy conservation and reduce your own carbon footprint (see our 10 ways brochure). You can also support renewable sources of energy, such as solar and wind, which are clean and don’t generate greenhouse gas emissions. 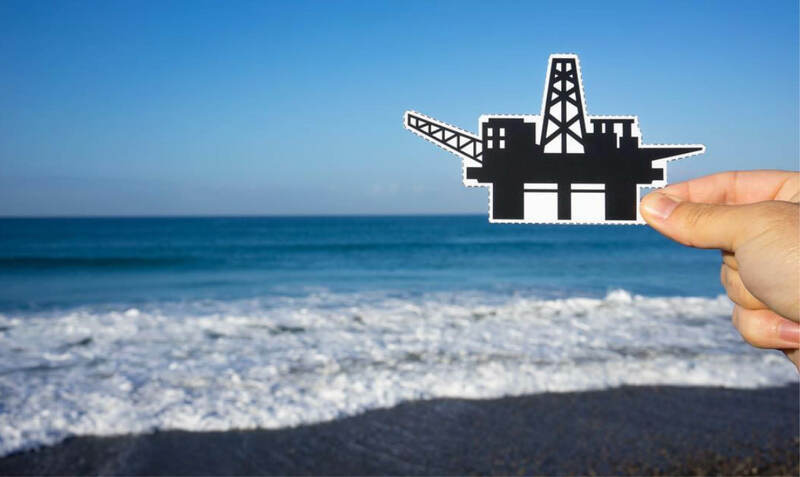 • Sign the action alert to say no to offshore drilling. • Sign the action alert to stop seismic blasting. • Call or write your federal representatives to ask them to oppose new offshore drilling and seismic exploration. • Get your business to join Business Alliance for Protecting the East Coast or Business Alliance for Protecting the Pacific Coast. Thanks to Kyle Lishok, Joshua Shelly, and the Surfrider Foundation for sharing these photos!